When your two goals on vacation are to relax and play golf in Las Vegas, we have the made-to-order packages you have been looking for. With your choice of luxury golf options that offer the kind of amenities that support an entire golf tournament, you know you are in good hands. Any golf package can offer you fine dining and a lush green course, but we have more to offer you in the form of the best entertainment in the world within one limo ride. Golfing in Las Vegas also means teeing off near the beautiful Spring Mountains of Las Vegas and riding past views of the city skyline in warm weather; while the rest of the country is battling snow. 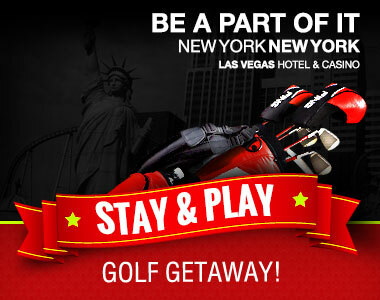 However, people choose us to put their vacation packages together because we help define the golf getaway of a lifetime. You will get the exact experience you want with a carefully tailored package. This includes meals, transportation, club rentals, green fees, golf car fees, rooms, unlimited practice balls — or whatever you need to have an entire vacation dedicated to golf. Want to take the family or make it a corporate event? From weddings, conventions and tournaments — we have the services you need to impress clients or show the family the time of their lives. We can help both individuals and larger groups with coordinating hotels, entertainment and everything related to golf vacation packages in the Las Vegas area. To get started, click here or contact us directly to learn more. Getting the perfect golf package for your next vacation is a dream within reach when you choose the Stay and Play golf package. When you try to organize your own vacation, you end up missing important features — but sometimes discount golf vacation packages mean you pay for something you do not want. To keep things as simple (or complicated) as you like, you can choose the custom-made Stay and Play Las Vegas golfing package. Instead of getting locked in to a package that only gives you half of what you want, you can trim or expand your order to include a long list of golfing-related options — with discounts available along the way. Of course, the most important part is having a chance to golf on the best courses throughout Las Vegas. After a day of enjoying the lush courses, you can go on to party among the exciting entertainment opportunities only found in Las Vegas. When you are ready to rest up, you can go back to the hotel or enjoy reservations at some of the finest dining establishments in America. 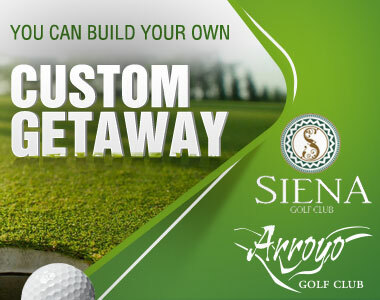 Signing up for the Stay and Play package means you can have your choice of rooms, but you will also get discounts on green fees, shared cart fees, practice balls — as well as other golf-related package items. 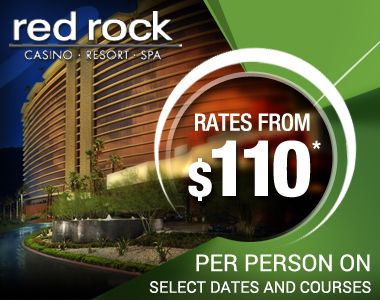 To get started on your next Las Vegas golf vacation, contact us. We are happy to help you make your itinerary as customized as possible, and we look forward to hearing from you.